If your family is supported by two incomes, have you considered what would happen if you suddenly lost one of those incomes? Being prepared for this type of unexpected occurrence is part of what estate planning is all about. While many clients believe that estate planning is only important for seniors, that is certainly not the case. In fact, it may be more important for young adults and new families to take steps to plan. Life insurance is one of the most common ways to prepare for the potential need for income replacement. When you consider life insurance, also consider protecting it with a life insurance trust. Life insurance can serve many purposes in estate planning. For example, life insurance policies can be used to balance inheritances. If one of your sons has worked in the family business all of his life and you choose to leave that business to him, you may need additional assets to be able to leave a fair inheritance to your other son. One way to do this is to take out a life insurance policy that is equal to the value of the business, making your other son the beneficiary. This would allow you to balance the inheritances. 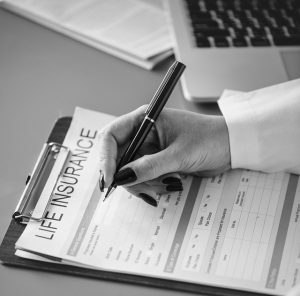 Although life insurance may play a significant role in your estate plan for any number of reasons, it is important to understand that life insurance proceeds are subject to estate taxes if the policy is owned by you and conveyed directly to a beneficiary on your death. To put it another way, for large estates, when you make your child a beneficiary of a life insurance policy, those proceeds are taxable under the estate tax rules. If your child transferred the proceeds on to their children in the future, the grandchildren could be subject to estate taxation again. The above scenario can be avoided by using an irrevocable life insurance trust. The way this works is that you plan for the life insurance policies to be the property of an irrevocable trust rather than the personal property of any specific beneficiary. In doing so, you will identify the trust beneficiaries as your spouse, if you are married, or your children. 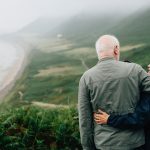 Upon your death, the insurance policy proceeds will be owned by the trust rather than your surviving spouse so they will not be taxed in your spouse’s estate. However, your spouse will still benefit from the trust and, once he or she passes away, the remaining assets will go to your secondary beneficiaries (your children) without being subject to the estate tax. This is one of the many reasons our estate planning lawyers recommend this type of trust. A well-constructed Irrevocable Life Insurance Trust (ILIT) can indeed protect your wealth. If you’re interested and have more questions, let our experienced estate planning lawyers help. The irrevocable trust has its own benefits, of course – the irrevocable trust keeps trust assets out of probate and preserves privacy, but it also provides a reliable mechanism for transferring assets when you die while still providing protection for those assets for the family. It does not, however, provide you with the ability to exercise unfettered control over those assets. Once you relinquish ownership, you must follow the rules in the trust and cannot reclaim the assets by dissolving the trust. Since the assets are beyond your reach and no longer part of your estate, creditors cannot gain access to them in lawsuits or other actions. The IRS no longer counts those assets as part of your estate either, and that can mean big reductions in your estate tax liability. If you are concerned about future nursing home expenses rather than estate taxes, the assets in an irrevocable trust won’t be counted when your Medicaid eligibility is determined after a lookback period of time. If you have questions about any of these issues ask our estate planning lawyers. Join us for a free seminar today! 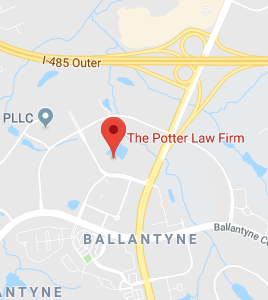 If you have questions regarding irrevocable life insurance trusts or any other estate planning matters, please contact the experienced attorneys at The Potter Law Firm for a consultation. You can contact us either online or by calling us at (704) 944-3245 (Charlotte, NC or Huntersville, NC) or for individuals in Kentucky at (606) 324-5516 (Ashland, KY) or at (859) 372-6655 (Florence, KY).